Nearly 50 years ago — 1969 to be exact — Sony introduced the ECM-50, a tiny peanut-sized electret condenser lavalier microphone that virtually ended the reign of large, cumbersome microphones used in television broadcasting. Since then, the scope, quality and price of lavalier microphones has dramatically expanded. Here’s a look at what’s available now. Dave Garroway wears an RCA BK-4A on NBC's TODAY Show. A lavalier microphone, by definition, is a small mic used for television, theatre or public speaking applications that allows for hands-free operation. This style of mic dates back to 1932, when a range of small(ish) mics with condenser diaphragms, ribbons, moving coils and carbon buttons were hitting the market. The term “lavalier” originally referred to jewelry in the form of a pendant worn around the neck. The name came about when the microphone was hung around the performer’s neck. 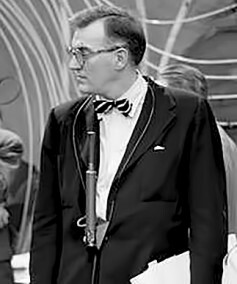 The first neck-worn mics seen on television were not so elegant. Dave Garroway often wore the RCA Type BK-4A Starmaker, a ribbon pressure model which came out in 1950. Though RCA claimed it “permits the performer’s face to be in full view,” to put it kindly, the mic was gigantic. Quick to follow were the RCA BK-6B and the Electro-Voice Model 647A, both small dynamic mics weighing about two ounces. In 1954, Shure Brothers offered the larger 530 Slendyne, which could be handheld, mounted on a microphone stand or worn around the neck on a "lavalier cord." Most of these mics had a peak of about 6 dB at 6–8 kHz, which compensated for the loss of clarity when chest-mounted. Sony changed the game in 1969 with the ECM-50, which dramatically downsized the lavalier microphone so it could be diminished on camera. Since then, lavalier models of a wide variance in price and features have been introduced. It can be a real chore now to choose the best microphone for a given application. There are, however, some safe choices, though the cost may be too high for some users. For broadcasters and news interviewers, omni-directional patterns are best for general purpose use. It can be difficult to reduce handling noise with directional lavs, which are for special purpose applications. The Sanken COS-11D ($469) and Tram TR50 ($310) are popular omni-directional lavs used on film and television sets. The Countryman B6 ($383.95), the smallest professional lavalier mic on the market, is easy to hide on talent and can function as a hair mic on actors. 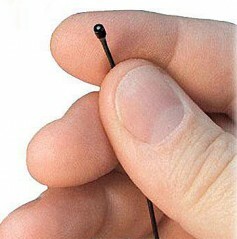 The Countryman B6, only a tenth of an inch in diameter, is a testament to how far the miniaturization of microphones has come. The mic has replaceable protective caps that can change its color and frequency response to match any application. It is also resistant to perspiration and makeup. Countryman has demoed the mic soaking in a glass of cola. Another high quality series of lavs comes from DPA. The company’s d:screet miniature microphones ($429.95) are now available with CORE technology, which enables better dynamic range and lower distortion. DPA’s d:screet 4061, for example, uses CORE to get a 14 dB increase in both THD and dynamic range. It’s total harmonic distortion is < 1% THD up to 137 dB SPL peak and dynamic range is 111 dB. DPA’s quality is second to none. RØDE’s Lavalier ($249) has low self-noise and high-quality audio. It is connected via a four-foot Kevlar-reinforced cable with a MiCon connector for versatile attachments. The MiCon connector system is ingenious and allows integration between the mic and a wide range of wireless systems, extension cables and different connectors. The tough as nails mic comes with a five-year “no questions asked” warranty. 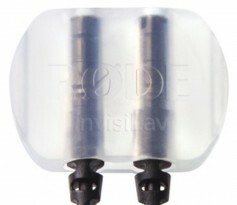 An excellent RØDE accessory that works with any brand of lav mic is the invisiLav ($18 for a three pack), a product designed to aid the concealing of the mic. Its soft construction absorbs noise and vibration, while the wide, flat profile provides coverage from the elements and allows for versatile mounting. There are two mounting points in case a redundant mic is required, and cable management on the side. The invisiLav comes with pre-cut, skin-safe adhesive that can be used to stick the invisiLav to either the body or to fabric. The device itself is also made from a medical grade skin safe material so it can be mounted on the body without fear of irritation. 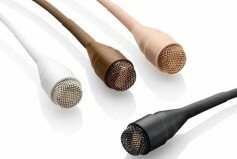 Sennheiser’s MKE 1 ($469.95) is the company’s smallest lav mic and is designed for broadcasting, live shows and musicals. It works where mics must be virtually invisible but still offer outstanding sound quality. Featuring a moisture-resistant protective membrane, Sennheiser said the MKE 1 stands up better than other microphones to harsh live conditions. Its gauze and multi-purpose cap offer additional protection from moisture. Regardless of the brand of the lav mic chosen, using it outdoors requires good wind protection. This goes beyond the thin foam windscreens often provided with mics. Though some manufacturers provide excellent wind protection with included or optional screens, others don’t. 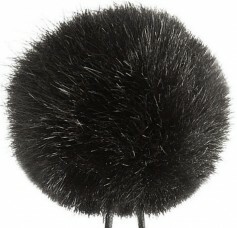 Bubblebee Industries Windbubble Miniature Imitation-Fur Windscreen. A good third party solution is Bubblebee Industries Windbubble Miniature Imitation-Fur Windscreen. The Windbubble comes in different sizes and colors but cost $27 each. Rycote also makes Neoprene foam windscreens ($17) for small lavs. These feature a rubber compression collar for the mics. They attenuate wind noise by 20dB. 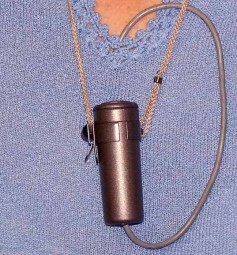 Lavalier microphones have become essential devices for broadcasters and field news interviewers. For these applications, use higher quality, brand name mics to avoid typical problems. They are more robust and reliable and always sound full and rich regardless of where you are working. It’s the same old story. You get what you pay for.